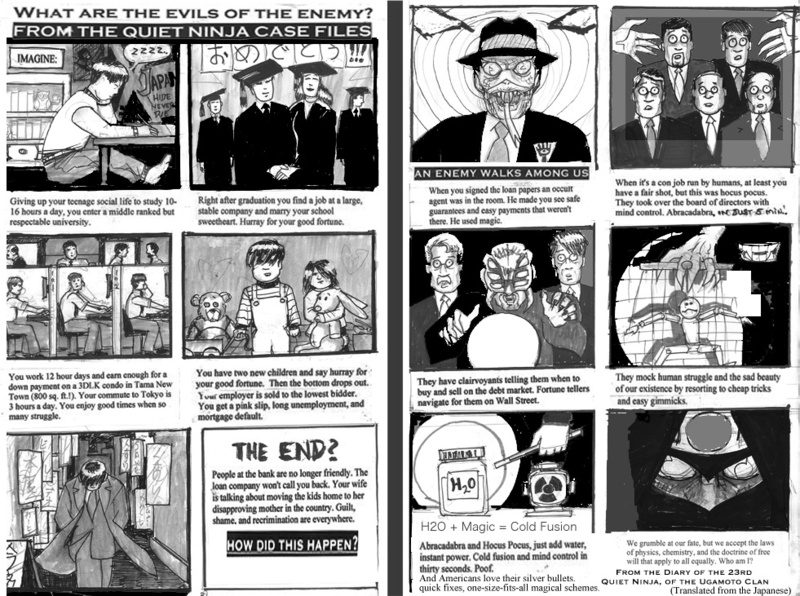 UNDERSTANDING THE ENEMY (by Ugamoto Ninja), 2 pages. 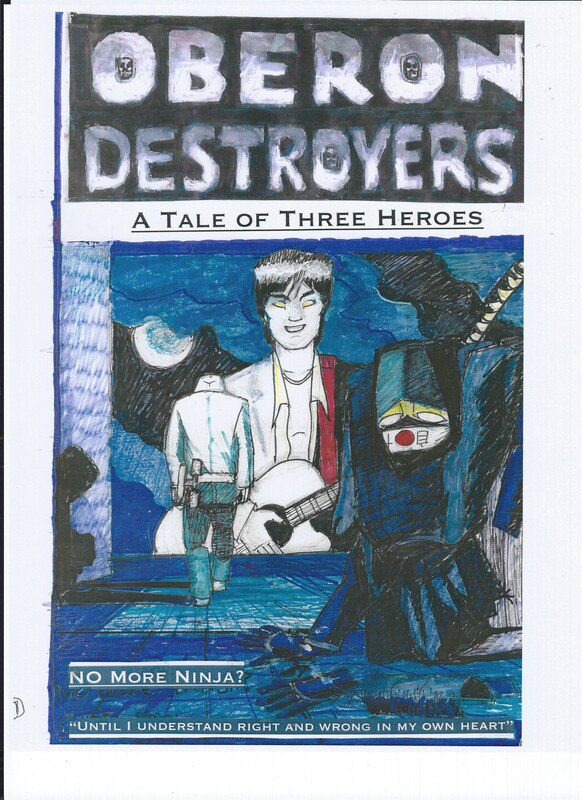 Oberon Destroyers Webcomic (06): From the Diary of the Quiet Ninja (from “Secret History of Ninja,” Part 1). 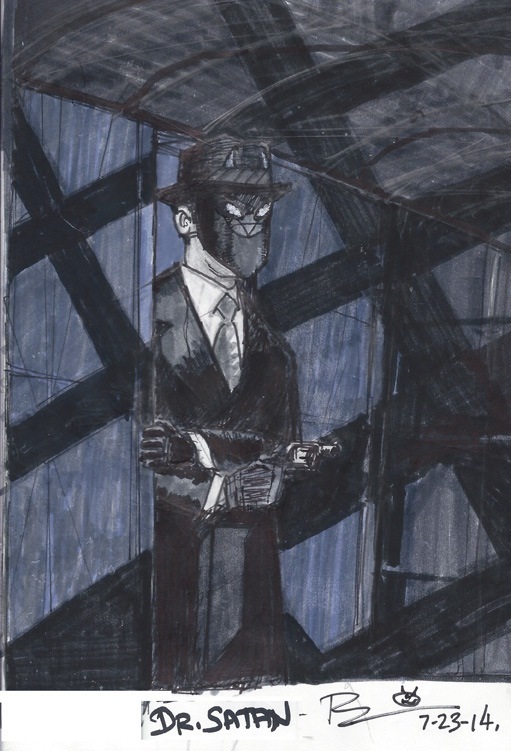 I cleaned up the page a little bit. It explains the evils of the enemy by concentrating on the damage they do to real, ordinary people. It’s rather meta. Just a touch. 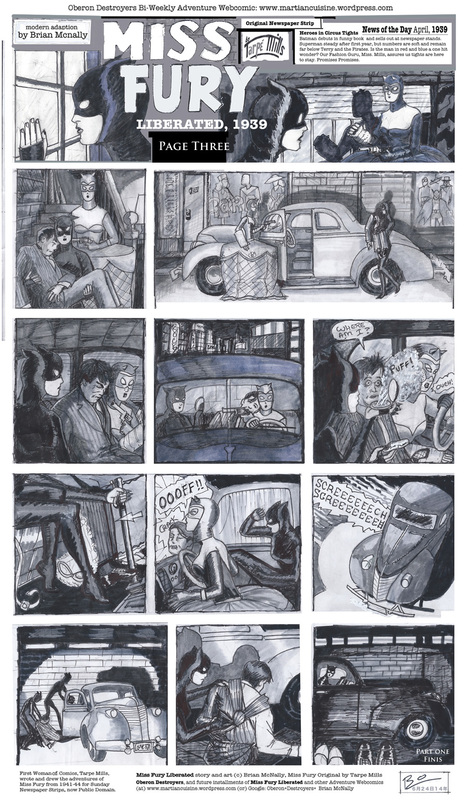 What I’m (also) working on – 23 pages, still needs inks on five pages and lots of brush work, a little clean up on the lettering. I don’t do computer coloring. I do pens and brushes, see image. The pages on the inside look gorgeous, if I do say so myself. Red, blue, yellow – colors for online edition. 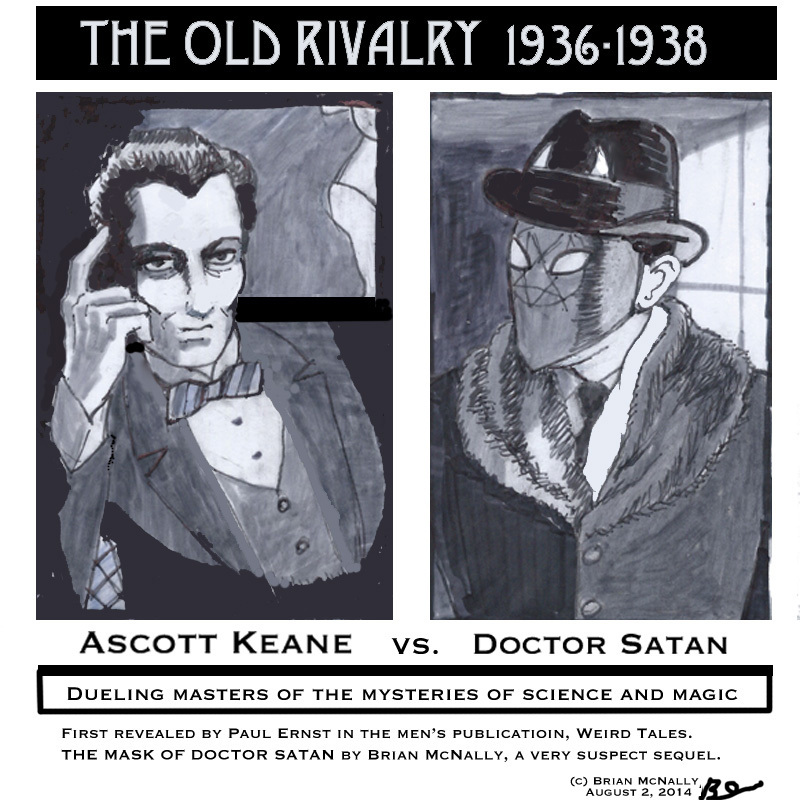 Issue three of six. Japan’s greatest Ninja fights a major slump going into a secret tournament to establish his entire future. The pressure is on, so he takes a break to come up for air. Guest Starring Japan’s Greatest Rock Artist, on a beach at night in Kamakura. Written on Cancer and Chemotherapy, But not a chemo story. Its a “reclaim your life” story.